Portugal beat off strong competition to be named “Europe’s Leading Destination” in 2018 and 2017 by World Travel Awards, whilst Turismo de Portugal was voted “Europe’s Leading Tourist Board”. Our country was also named “Europe’s Leading Adventure Tourist Attraction” (Passadiços do Paiva), “Europe’s Leading City Destination” (Lisbon). 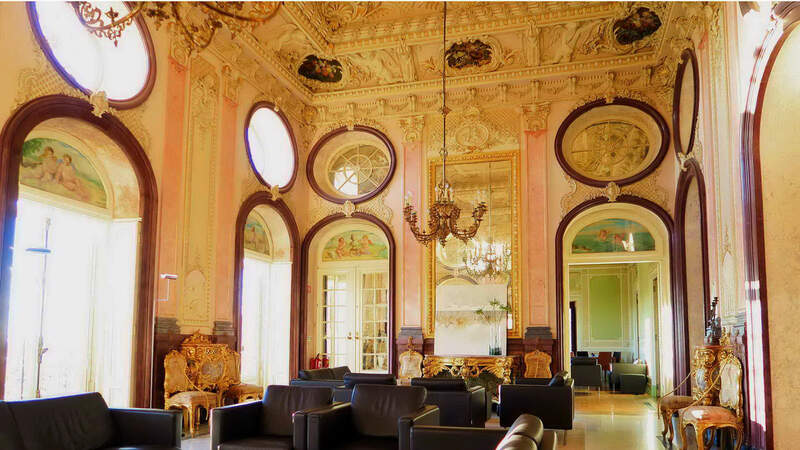 In total, in 2018, Portugal received 36 awards at the annual World Travel Awards Europe Gala Ceremony. 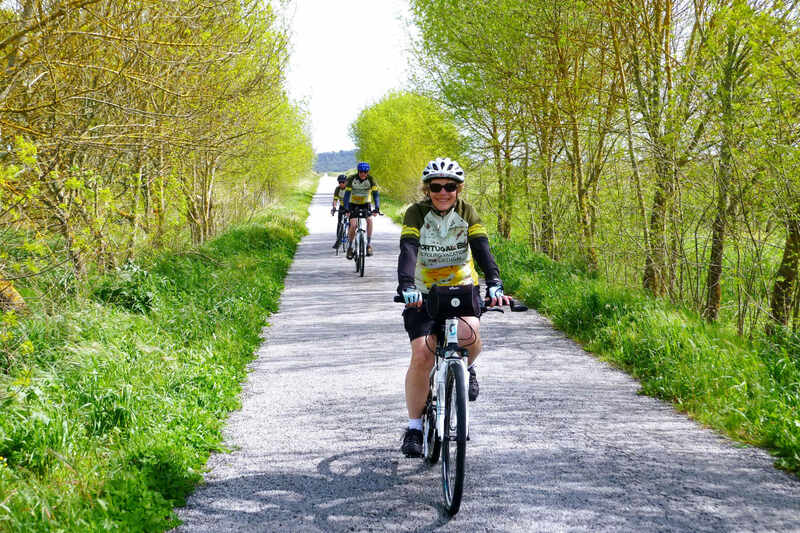 Here’s why it should be your next cycling vacation in Europe. Our roads and cities are safe! Is there anyone that doesn’t like to feel safe? Everybody likes to feel safe where they live, to be able to walk or ride freely in his/her home town and to feel peace. Portugal is one of the safest countries in the world. Portugal is the number 4 in the Global Peace Index 2018. Produced by the Institute for Economics and Peace (IEP), the GPI (Global Peace Index) classifies 163 countries and is the world’s leading measure of global peacefulness. This report presents the most comprehensive data-driven analysis to-date on trends in peace, its economic value, and how to develop peaceful societies. Europe is the safest region of the World and the European countries are classified in the Top 30. Portugal is a country of friendly, warmth and gracious people. According to Forbes Magazine, Portugal has claimed the title of the most welcoming country for expats in the World! Forbes article is based on a 2018 survey from InterNations, the largest global network and information site for people who live and work abroad. The survey looked at data and comments supplied by almost 13,000 expats from 188 countries and territories to reveal which are the friendliest countries in the world to live. And Portugal was number 1! Portugal’s cuisine is rich and varied. One of the most distinctive feature of Portuguese cuisine comes from the sea. In Europe, only Icelanders eat more fish than the Portuguese. As you enjoy a simple grilled fish, always fresh like the seafood that abounds from end to end along the coast. Portugal’s cuisine has strong regional influences: meaty and robust in the North, Mediterranean in the South. Olive oil is the basis of Portuguese cooking and it is used in several salads, meat and fish dishes. 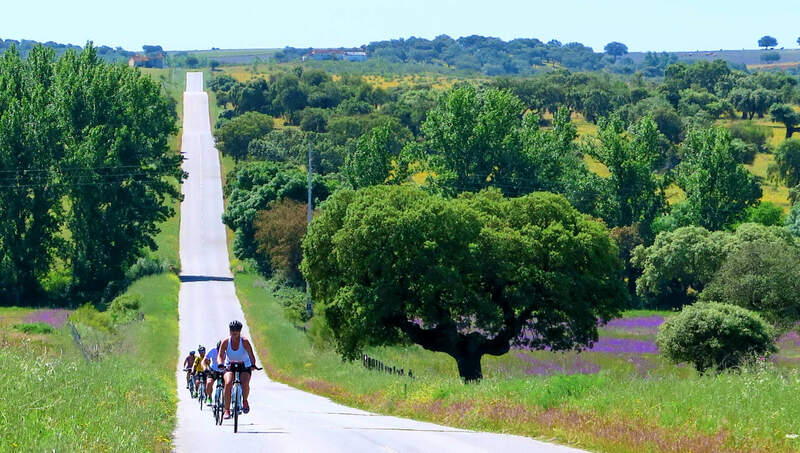 Ride the backroads of the Alentejo you’ll weave through endless olive groves. Last but not least: the wine. 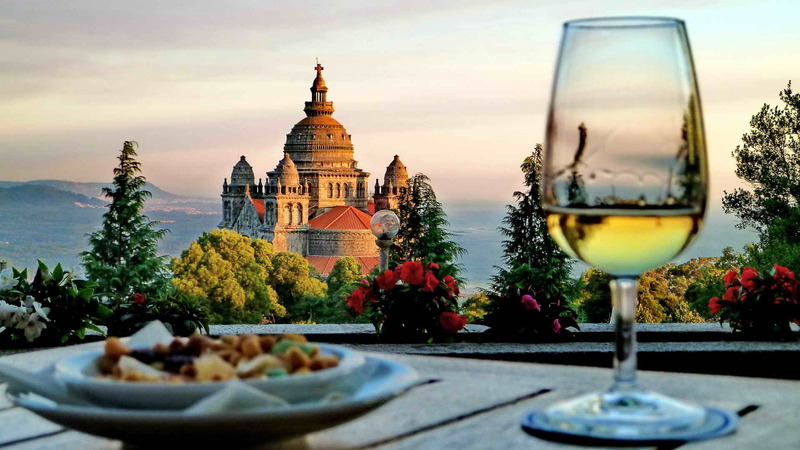 The wines of Portugal just go on getting better and better, and there are many varieties to discover: summery vinho verdes from the northwest, full-bodied reds and fruity whites from Douro, Dao and Alentejo.  We carefully select authentic local restaurants in each of our tours. Portugal is one of the oldest countries in Europe. Portugal has not changed its borders since 1249 AD. As a result, many medieval forts, castles, palaces, monasteries and convents can be found on our landscapes and cities. 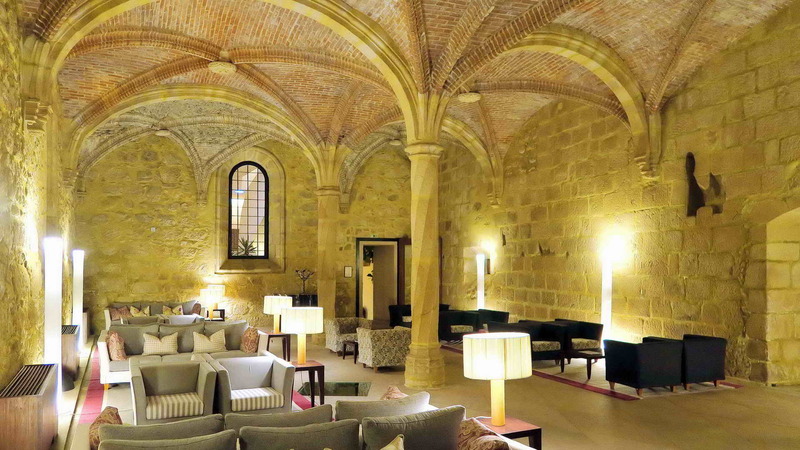 These magnificent places were once inhabited by the Clergy or by the Kings and Queens of Portugal and are now converted into exquisite lodges, which we call Pousadas. 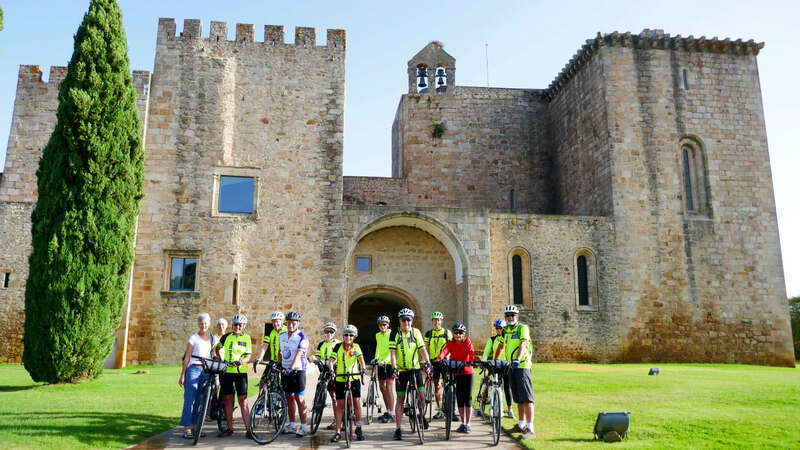 Portugal Bike offers tours which take guest to several Manor Houses, Palaces and Monasteries. Just check the Charming Pousadas in Alentejo tour, the Charming Pousadas in the North tour or the Ancient Medieval Villages tour. Portugal is my country, …and I am very proud of it! …And this is the reason I decided to organize bicycle tours in Portugal. Moreover, in Portugal you can ride a bicycle and you feel safe. Car drivers are patient and nice with cyclists; and at the end of the day you relax in a cozy and relaxing Portuguese hotel experiencing good Portuguese food and wines. Cycling in Portugal not only takes you to some hidden places of an ancient country (900 years of History), but riding a bicycle is also a fun and healthy activity. 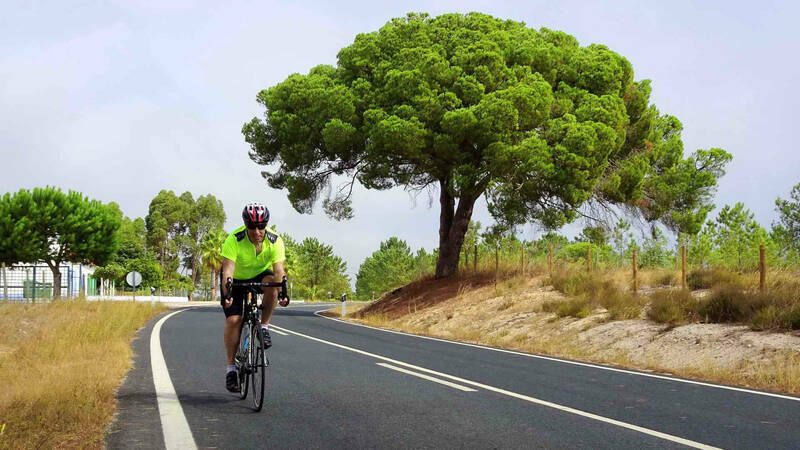 We have been organizing bicycle tours since 1995, more than 20 years, and more than 13000 have already cycled with us; Portuguese people and people from all over the world have participated in our road bike tours, hybrid bike tours and mountain bike tours. 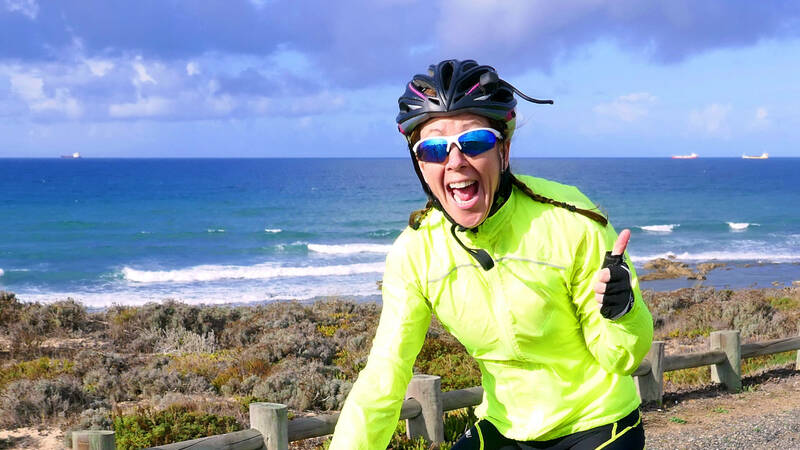 …And the fact is that if so many people come back to Portugal to participate on another PortugalBike Tour, it must be because we touched their hearts! They sure have a special place in our heart! Choose Portugal as your next cycling vacation in Europe!